It’s incredible the perspective you receive by watching young children grow. Watching life go by through their eyes shows us such a level of innocence and purity. They see things without the filter of a broken world and find joy in almost anything! I see that in the hearts of my three little ones. Over the past few years as my children have been discovering the love of Jesus Christ, I can see their perspective on life soar to new levels! They ask exciting deep questions about God’s creation and His plans for their lives. They want to know how God fits into our every day routine and how He handles the hard stuff of life. It’s challenged me as I try to answer all these wonderings but it’s so fun to watch them discover His love. In a few short weeks we are going to have an incredible opportunity to minister to many young hearts from our church and community. Vacation Bible School (VBS) is fast approaching! 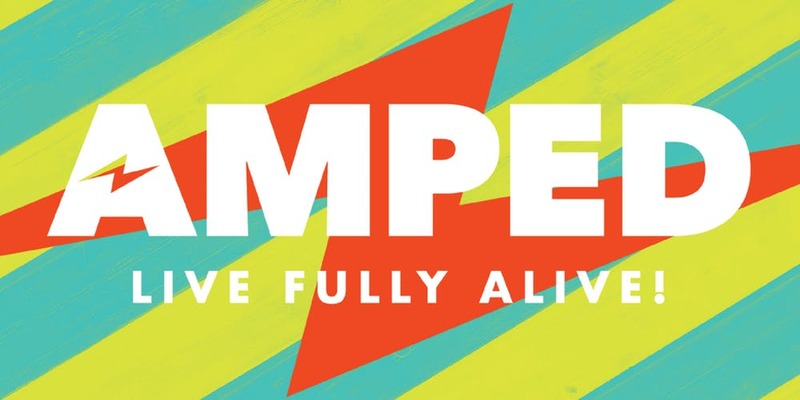 This year’s theme is AMPED; AMPED VBS will bring to life true stories from the Bible and capture a kid’s imagination. AMPED will help kids understand God is with us, God has a plan for us, Jesus is alive and and we are part of a bigger story. We will do that by looking into the lives of people like Joseph, Esther, Paul, the early church and Jesus himself! We are confident God is going to show up in a big way during our week and many hearts will be touched and changed as His Word and promises are brought forth! Please join us in prayer for this amazing event and for the young hearts that will be joining us as we discover the love of Jesus together!